In the beginning it was a passionate love affair, there were not enough hours in the day for “said typist” to satisfy their needs, to spend every minute solely on him, slaving, slathering, salivating as the story hit the page in graphic detail. Oh’ the fervor was electric, his character and energy, building, growing, escalating and wait, excuse me, what’s that? Yeah…exactly, crickets! Where the heck did that #$!@&%*go? Hello? Author, we are not finished here! When, finally “said storyteller” opens the word file lamenting lame excuse after excuse, having not been able to find his specified folder, mislabeling the work, or worse, accidentally deleted their idiosyncratic draft. How could this have happened to their supposed one-of-a-kind, spiritually satisfying soul-mate, “I will die without you” connection? Suddenly typing starts again at a furious pace, rushing down the poetic highway at lush breakneck speeds when his name is written wrong. Hans??? Who the H – E double L is Hans? My name is George! Receiving valuable feedback increases the ability to improve one’s writing. 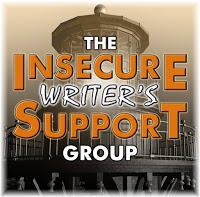 An Editing group is effective when you value the writing of the members. Do your homework. Read what the group members have already written before venturing into the members’ arena. Ask for samples and experience. Your writing future might depend on how well you do your homework. Ask questions about how frequently others submit and return reviews. How long have members been active, how many are in the group, how many people have left if it has been in existence for a substantial time. How much time does each member devote to her work daily? The answers will give you a better “reading” on if this is a match made in heaven—or hell. Your writing is important. You have sweat bullets over it and truly want to learn from others. Members who aren’t as dedicated to writing as you wish—- do they want YOUR critiques and aren’t interested in the reverse? I’ve been there and done that. Be assured that groups can be helpful. Please understand I am not disrespecting groups. I’ve been in ones that were encouraging and helpful—make a great choice for you. If you have ever worked for the public—as a food server, a store clerk, or a person behind a counter providing a smile and assistance for people who neglect to respect you and might give you a rotten time, a great book has come on the scene by Jess E. I would recommend it highly for saying exactly what you thought and couldn’t say aloud for fear of losing your job. Jess E remains anonymous to protect their identity and “tell it like it is!” I laughed out loud as did my husband. Some of you might recognize yourself in customer interactions, Oops. If you are demanding of perfection from sellers or service providers, it might not be as pleasant to read as it will be for the rest of us who have walked in Jess E’s shoes. Putting the shoe on the other foot might do you, your son, your daughter, your spouse a lesson in how to treat others. I wished I had had this booklet lying around when I was still working. Super gift for the lunchroom! A blurb from a reader! Ohhhhh—-be careful! A dear friend and excellent writer had finished her rough draft and asked a teaching partner to critique her freshly finished novel. How much did she trust this person to be helpful and not cruel? Let’s call her Janine. Remember, this was her first completed draft. Janine is an exceptionally gracious, kind and well meaning person. She had taught with said critic for several years. She didn’t see the snake in the grass. This woman was so brutal that Janine crumbled. In addition to being humiliated, she threw her manuscript away and never wrote fiction again. Granted, she trusted the wrong person but didn’t see a reason not to do so. She was young and this woman was an older woman whom Janine had faith. They team taught high school English together. I was horrified learning of the fate of her first completed novel. Janine gave her critic the power to annihilate. Be prepared for this option and block negativity. Choose better. Try again. You’re worth it. In Preparation for … Your Story in a Sentence—Crafting Your Log-Line. I eagerly prepare to attend a class where public flogging is an anticipated event. Weary authors will stand in line, heads hung in despair and maybe a fleeting quiver of hope lodged like vomit bubbling in the back of their throat, humbly bowing before their master, waiting for THE “shredding” Knees quaking, writers will clench between white-knuckled-fingers a two sentence description of their manuscript. Peeping through half-closed lids, fearing the removal of an outstretched hand, we will offer our meager sacrifice stained in hours of coffee slobber and sweat. How is it that one can be filled with an obnoxious combination of enthusiasm and apprehension at the same time? Adrenaline has become this, moi, writer’s bubbly, knocking it back as an eager freshman. There is definitely something peculiarly wrong with this picture. I feel as though I am a dark age villager, preparing her lunch to watch the beheading of another crier of the written word, a fellow peer, and friend, standing first row before the hovering guillotine, hoping mid-bite, perhaps, that I shall be the next oblation. And if called upon, what will I do? “LOGLINES are a 1-2 sentence description of your script. They aim to identify the main character, the tone, the conflict and give an idea of theme and plot. Some loglines can stretch out to 3-4 sentences and are more like mini-synopses. A new trend is emerging to describe your film in 25 words or less. Whatever the format, the purpose of the logline is for you to quickly pitch your script to a producer and talent to convey the general concept. Another recent trend in loglines is to pose a hypothetical question such as “what if”? or “imagine if”? Thanks, Gideon! I’ll let you know how it went. #1-When you follow me I send silent wishings of well-being to your gravatar. #2-I purposely receive the computer generated follower notice so I can e-mail salutations that you’ll never see. Because they are labeled do not reply. But I issue you a personal thank you and hit send. #3-At the same time my overwhelming energy of wellness to humanity holds me fiercely in a death grip. Even if you post something that I may not agree on. I will like it for the spirit in which it has been written. Why do I write this needless article you wonder? Is is needless? Well, as I sit weekly and return dozens of emails that are absorbed by space, I thought, “is this weird?” From previous entries you know I am a strange-bird. Cue adorable picture. My humor as staid as my personality, boring and yet full of life. Smiling, I walk on. What is the purpose? Well, I will tell you what it is for me. I cannot help the urge to spread hope, wishes of well-being and genuine love throughout the universe. You see my daily ramblings @upliftingquotesdaily.com. A vocation to which I dedicate the heart of who I am, wholly. There is such need for us to stop and appreciate. Ourselves, in this breath and since we have pressures unbounded piled atop of us at breakneck speeds, I hope to do so momentarily for you. A twinkle passing over you in the wind. Positive streams of light and guided energy released and headed to your front door or inbox. I appreciate you. I care. You matter. We are all connected in spirit and strength, together we do make a difference. Believe in all things great. You, yours, what can be. Life’s pressures breed vulnerability. Every day we are fed negativity through various forms of influence and media, everything awful in life for its sensational appeal. And easy to roll into. A flea-ridden blanket riddled with holes offering us misguided comfort. That should be our warning, easy, life is not easy, love is not easy, we as beings are not easy. Forced to believe we are not worthy, but we are. Ps…Does this have anything to do with writing as this blog was intended? Absolutely the bleep not! Breathe pretty flowers, dance.